Surveys have found that people who drink diet beverages average intake is more than 26 ounces per day, and some drink far more. About 3 percent of diet-soda drinkers have at least four beverages daily. They may get addicted to diet soda because they associate it with a certain activity or behavior. Other research also suggests that the artificial sweeteners in diet soda may prompt people to drink more diet beverages, because they aren't as satisfying. 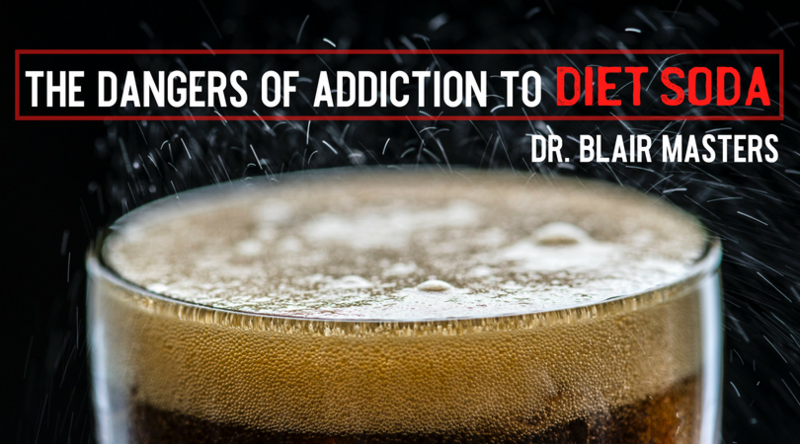 Whether you feel dependent or not, drinking diet soda at all might be risky in the long run. In recent years, habitual diet-soda consumption has been linked to an increased risk of low bone mineral density in women, type 2 diabetes, Alzheimer’s Disease and stroke. What's more, a growing body of research suggests that excessive diet soda intake may actually encourage weight gain." If you have a craving for sweets, rather than trying to find "healthier" ways to continue indulging in them, it is in your best interest to learn ways to eliminate your cravings all together. If you continue to consume sugar or artificial sweeteners that taste like them, you will never be able to relieve your cravings. The obvious one would be to stop eating anything that tastes sweet to begin with. But sweets are powerfully addictive – sugar has even been shown to be more addictive than cocaine. Stevia is a preferable natural substitute, which can be used in making most dishes and drinks. However, complete avoidance of sweets is often necessary to break your addictive cycle. If you are unable to achieve abstinence from sweets, your emotional connection to cravings might be an important factor for you. This is something that we address at the office on a regular basis. If you or your loved ones drink diet beverages or eat diet foods, just stop. It is difficult to imagine something that could be worse for you health. If you are having problems with this, give us a call at 479-443-0800. It is very likely we can help.